In a statement signed by the Executive Secretary to the President of Ghana on Thursday 17 January 2013, Hon. Emmanuel A. K. Buah has been appointed as the new Minister for Energy and Petroleum. His area of speciality includes human resource allocation, budget operations, planning and scheduling of work, safety and health issues, labour relations and conflict resolution. He is currently the Deputy Minister for Energy, a position he has held for the past four years. He was part of the team that saw through the passage of the Ghana Petroleum Revenue Management Bill as well as the Offshore Petroleum (Health and Safety) Bill, to manage the potential environmental impact of the country’s new oil industry. Hon. 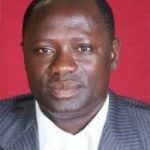 Buah retained his seat in parliament for the Ellembele Constituency in the Western Region where he campaigned with the vision to provide effective leadership and representation to reshape and lift up the socio-economic development of the Nzema area and to ensure that Nzema has the basic necessities of life like good drinking water, health care, better jobs and schools. He believes that education is the key to unlocking the cycle of poverty especially in rural communities and has thus dedicated his adult life to make a difference in that area. What drove him to public service is that he grew up witnessing as a child the hopefulness of the post-colonial era and the heroism of great leaders like Osagyefo Dr. Kwame Nkrumah. He is convinced that what is needed for the Ghanaian renaissance is a new leadership that understands sacrifice and believes that Ghana and indeed Africa is at a crossroad- a time of reassessment, a time to begin questioning institutions and practices that have failed them, a time to provide new leadership that will give people a new sense of hope, a choice that offers opportunity and demand responsibility.